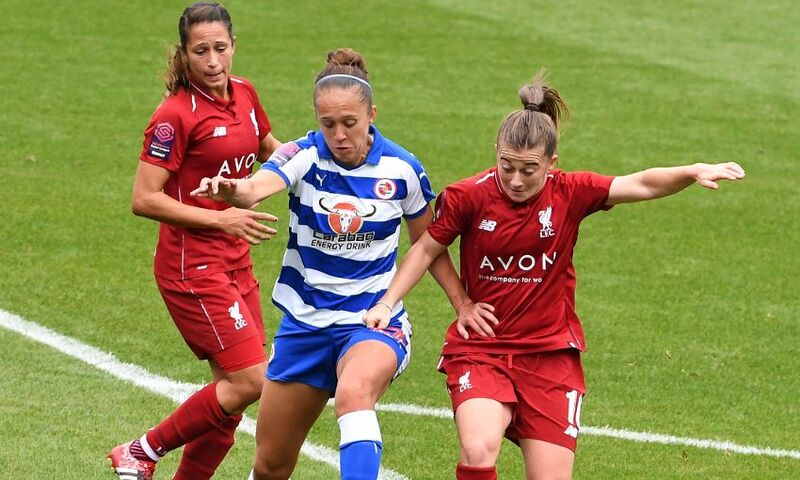 Liverpool FC Women suffered a 1-0 home defeat by Reading FC Women on Sunday. 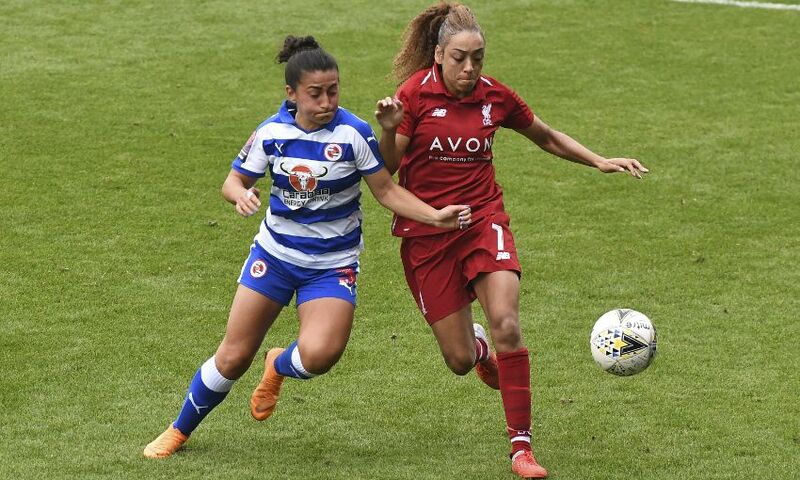 A fine strike from Brooke Chaplen in the first half was enough to give the Royals all three points in the Women's Super League, while the Reds had to contest the majority of the second half with 10 players following the sending-off of Rhiannon Roberts. 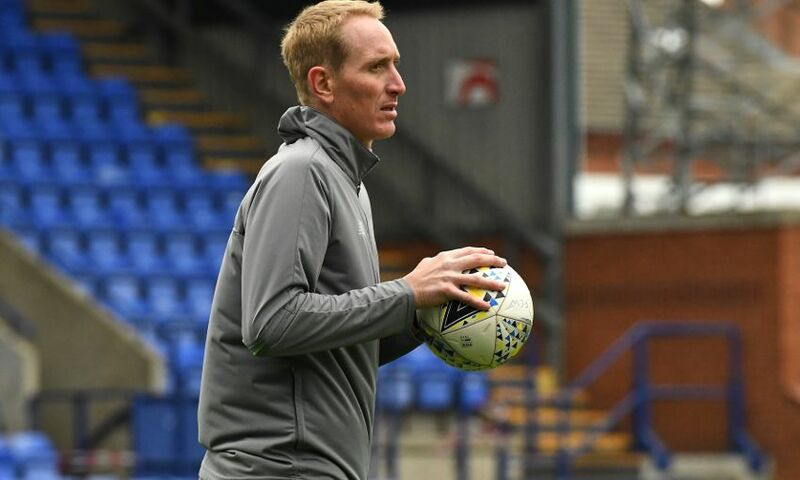 Despite the loss, there were plenty of positives for caretaker-manager Chris Kirkland and first-team coach Vicky Jepson to take from the game as their side showed great character and kept battling right until the end. 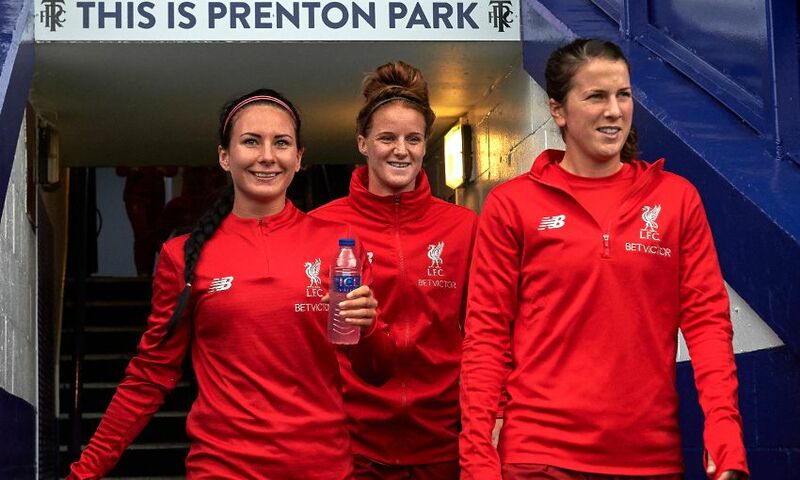 Going into the clash, the Reds were dealt a blow when goalkeeper Anke Preuss picked up an injury in training, which meant a debut for Fran Kitching. Nevertheless, they started brightly and created a good chance on 13 minutes. A superb pass from Roberts picked out Niamh Charles down the left flank. The 19-year-old then fed a perfect ball into the feet of Laura Coombs but the midfielder was denied by a fine stop from Grace Maloney. 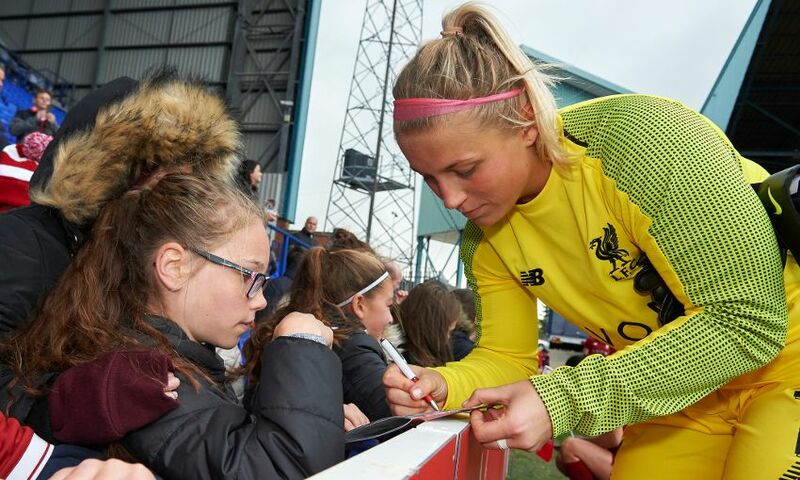 Debutant Kitching showed her quality with an excellent save at the other end to deny ex-Red Fara Williams from a close-range free-kick. 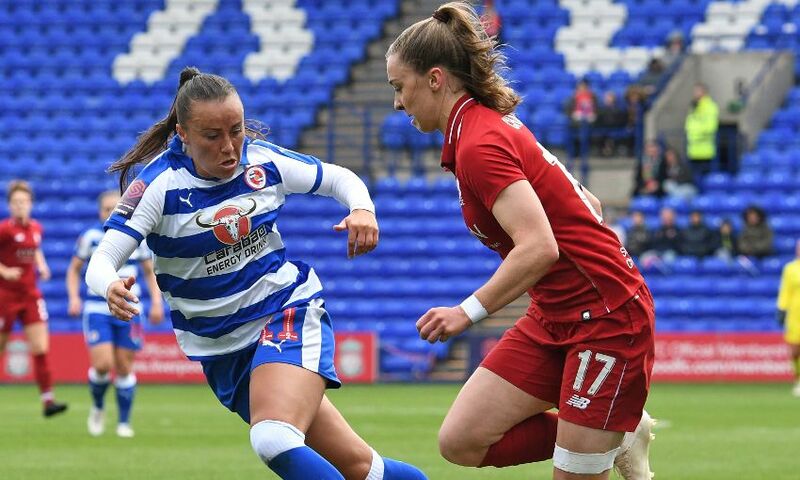 On 22 minutes, a neat through ball from Coombs put Courtney Sweetman-Kirk in on goal, but Reading stopper Maloney rushed off her line to block. Reading got the breakthrough 10 minutes before the interval. 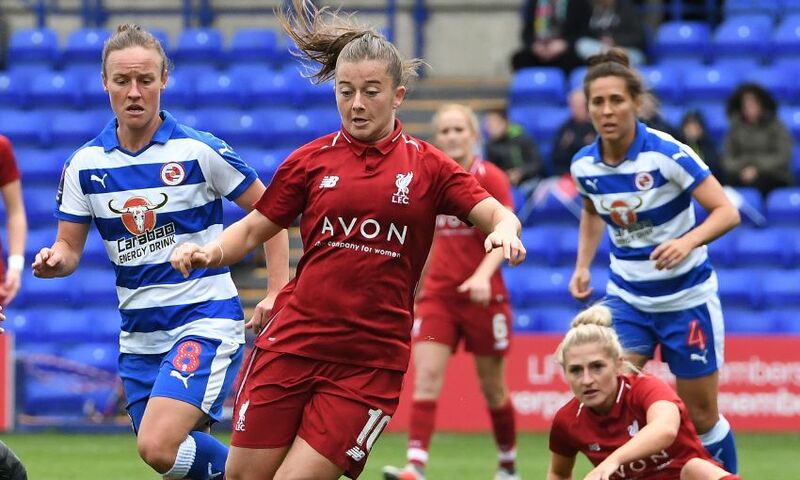 A searching long ball from Kirsty Pearce caught the Reds defence square and Chaplen produced a first-time finish into the bottom corner. Kirkland's side had to withstand a lot of early pressure at the start of the second half as the visitors threatened a second goal. Their cause wasn't helped on 55 minutes when Roberts was shown a red card for a second bookable offence. But Charles remained a regular outlet on the flank for Liverpool and her direct running carved out a chance for an equaliser. After playing the ball out wide to Jess Clarke down the right, the subsequent cross was just too short and cut out before she could pounce. The excellent Kitching made some vital saves to keep the Reds in the game, while substitute Rinsola Babajide came close to a late response with a rasping effort that landed just wide of the post from distance, but it wasn't to be. 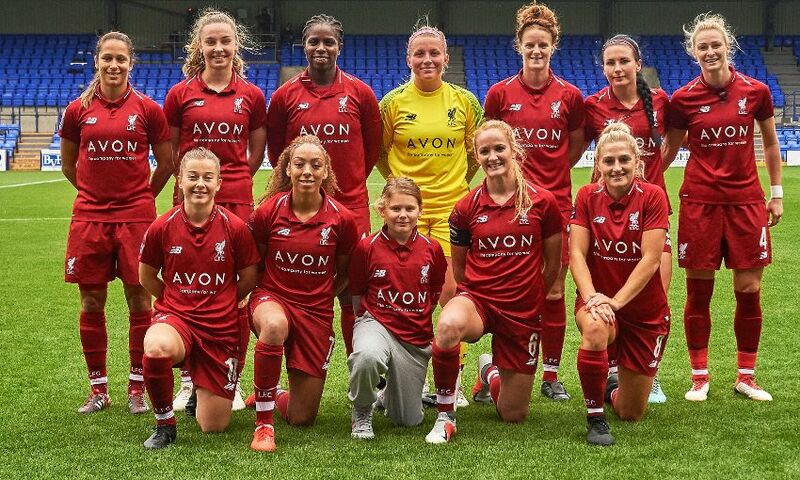 Liverpool FC Women: Kitching, S. Murray, Robe, Roberts, Matthews, Bradley-Auckland, Clarke (Linnett, 79), Coombs, Sweetman-Kirk (Fahey, 62), C. Murray (Babajide, 67), Charles.